The need to create an effective, engaging and profitable online presence can present serious challenges, and many organizations struggle to find appropriate resources that help produce meaningful results. 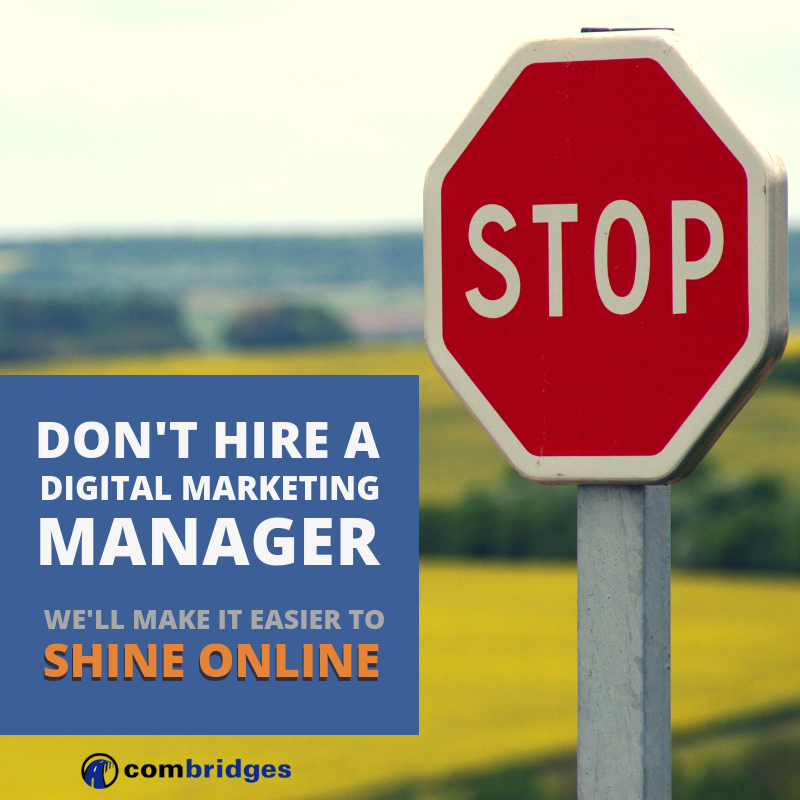 A frequent mistake is to think that hiring an in-house digital marketing manager will make things easier. Do you have a nagging feeling that your customers are out there on social media or searching on Google, but you don’t have the expertise to get your company or organization the visibility that it needs? Do you hear about other organizations profiting from online/digital marketing but feel like you’re missing out on opportunities? 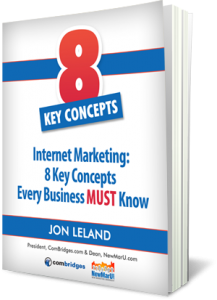 Do social media, email marketing, blog posts and other kinds of content marketing just feel like a waste of time and a money sinkhole? Making this situation even more frustrating, you would like your in-house staff to take care of this for you, right? Perhaps you could hire a low-budget young person? Don’t all young people understand how to use social media? Well, from the point of view of results-oriented strategy, no, they don’t. This blog post is your warning. Be careful. Hiring new in-house staff might not really save you money and, more importantly, you might not get the meaningful results you want and need. And if you don’t get the results you need, what’s the point? Before you interview for a new team member, take a breath, pause and consider the key benefits of working with an affordable, talented digital marketing agency like us. Yes, no doubt, we are making a self-serving point here. But don’t let that hold you back. We are ONLY interested in win-win relationships. Your success is our success. Seriously. Hiring a new employee who you have to manage in an area that’s not your expertise takes your focus away from your other responsibilities. If online marketing isn’t in your particular skill set, chances are you don’t want to manage a new hire and clutter your day and your mind with things you’d prefer to leave—and that would be better off leaving—to someone else. Why not be guided by experts? A new hire costs you both time and money. But with ComBridges doing your online marketing, you don’t have to pay benefits, employee taxes or overhead costs. There’s no need to find space in your office, nor do you need to do employee on-boarding. The HR staff will save time, too. A new member of your in-house team can also affect company culture and morale in unpredictable ways. Simpler can be better. Your success is our success and we are built to grow with you, without you ever having to invest in increasing overhead expenses. As long as what we are doing is working for your organization, we keep going; and as appropriate, we keep growing with you. In other words, we will grow our efforts as you achieve new levels of success. All along the way, our work together will never create space and cost challenges for you. No matter how carefully you check resumes, no matter how thorough your interview process, there’s no certainty that your new hire will meet all your requirements and be a good fit for your culture. Why struggle with a newcomer who may still be trying to figure things out, when you can work with experienced experts? We produce results that you can trust. Our company has a 34-year track record with results-oriented marketing communications. We have an already-established “tool kit” and systematic strategies that we use to customize social media presence and to implement digital marketing strategies that we know work. In-house digital marketing managers often take a hit-and-miss or shotgun approach. On the other hand, we understand that online marketing is about building relationships. We will customize a strategic approach that is designed to build authentic, sustainable relationships with your customers and prospects. Be clear about your goals for social media and digital marketing. Focus on real results. Choose resources and virtual team members that you can trust to make your investment in marketing more profitable. Consider all of the possible pros-and-cons of hiring in-house. Aim to make your work easier rather than more complicated. If you can see that this approach may have benefits for your company or organization, we would welcome the opportunity to answer any questions you may have.